One particular fashion item has stood out during the last couple of years and has become a must-have for everyone, guys included. I'm talking about eco-bags. It's now almost impossible to go shopping without one since the recent implementation of the "no plastic" law. Because of this, a great number of brands have decided to exploit its recent popularity by producing them in almost all the colors you can imagine. Shapes not included. 99% of eco-bags in the market prefer to stick primarily with the tote bag design. Which works but could use a lot of improvements and upgrades. This is where Parachute Bags come in. Parachute Bags take eco bags to the next level with ingenius designs that are not only chic but way, way more practical than just regular totes. Don't get me wrong, I personally have nothing against plain old totes but sometimes, I like a little added security and privacy that can only be applied with the use of zippers. Also, Dennis refuses to carry a girly tote over his shoulder and would much rather struggle with juggling numerous brown paper bags. Figures. But I guess most guys probably have the same sentiments. Parachute Bags have an assortment of styles to suit all brackets wether you're a guy, girl or kid. They have backpacks, tote bags, messenger bags, book bags, belt bags, and possibly every other style you can imagine. AND, they all come in convertible, lightweight designs which not only makes them great for shopping but for everyday use and travelling as well. To further demonstrate, check out this Parachute Bags "Hamburger Backpack" of mine. It starts out as a little square block but folds out to a huge backpack that's big enough to use as a weekend bag. Packing it back up is also very simple and only takes a few seconds. 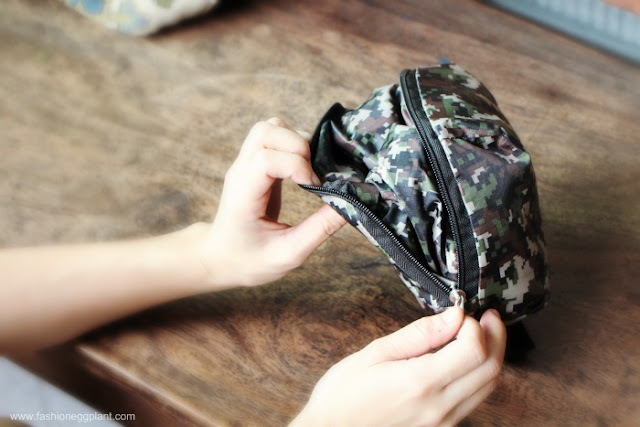 Aside from this, they also have "dual-purpose" bags which not only convert into smaller pouches but can also transform into 2 different styles like the ones in the photo below. 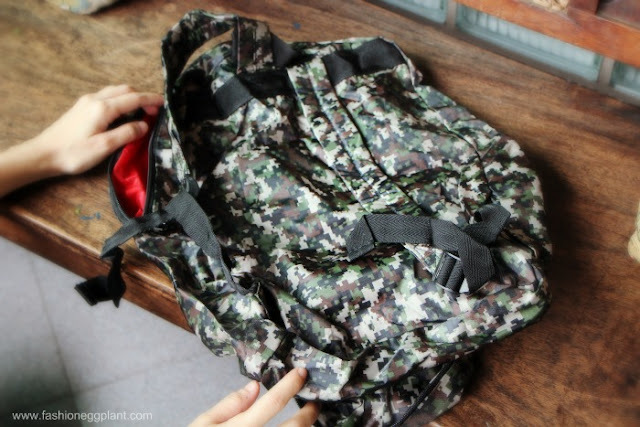 Guys can opt to use their Parachute Bag as a laptop/messenger bag or as a backpack for hands-free convenience while girls have the option to choose between a tote or backpack style. 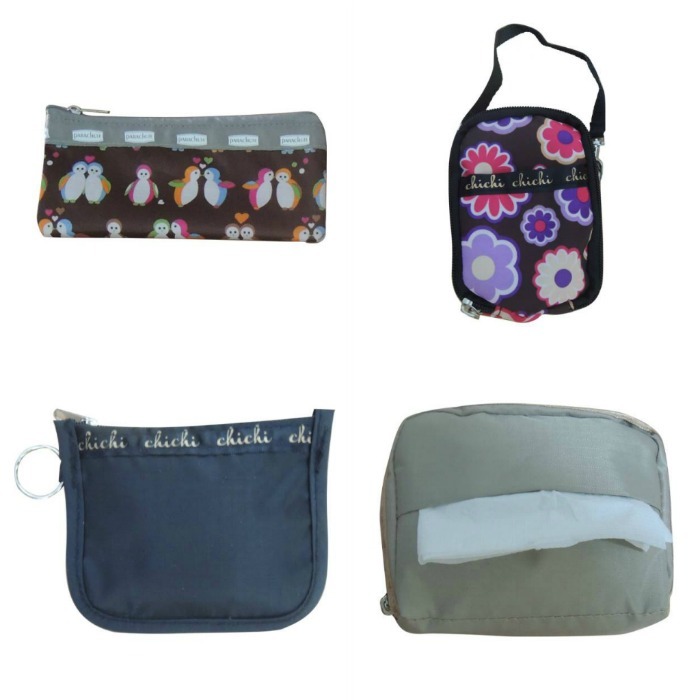 Aside from bags, they also carry an assortment of pouches to house all your little things so you don't lose them. You can even pick one to match your bag! Average retail pricing for Parachute Bags are as follows: messenger bags (P1000), travel bags (P700), shopping totes (P300), backpacks (P200), tissue pouches (P100), cosmetic bags (P90), pencil cases (P80). Buy your Parachute Bags in: kiosks at Ayala 3 Malls Market Market - the Fort, Abreza Mall in Davao and Centrio Mall in Cagayan de Oro. Also in Landmark Department Stores - Makati and Trinoma, Rustan's Children's Department. Coming Soon in Gaisano Metro Ayala Cebu and Ayala Market Market and selected Robinson's Department Stores.